It will often be necessary to pre-compress or pre-extend the Neoprene Bridge Expansion Joint to pre-set the joint unit to suit the relative position of the structure Neoprene bridge expansion joint in the bridge deck. 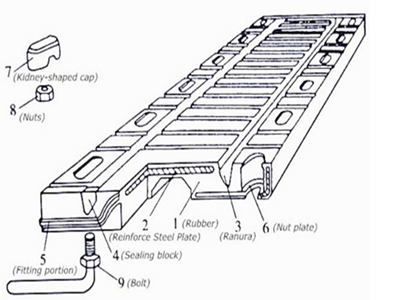 At the time of installation of Neoprene bridge expansion joint with steel plates therefore knowing the mean deck temperature rang and the movement to be accommodated, the amount of pre-compression or pre-extension can be taken off a graph prepared in the manner of the example illustrated.J.S.Brown has many years of experience in rubber expansion joints.We supply many kinds of rubber expansion joints such as natural Rubber Expansion Joint,neoprene rubber expansion joint and so on.We have exported to many countries. Easy installation for construction and low price. 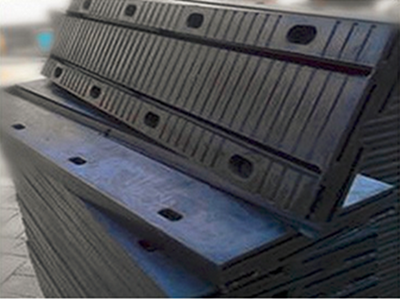 Looking for ideal Natural Rubber Expansion Joint Manufacturer & supplier ? We have a wide selection at great prices to help you get creative. All the EPDM Bridge Expansion Joint are quality guaranteed. We are China Origin Factory of Neoprene Rubber Expansion Joint. If you have any question, please feel free to contact us.